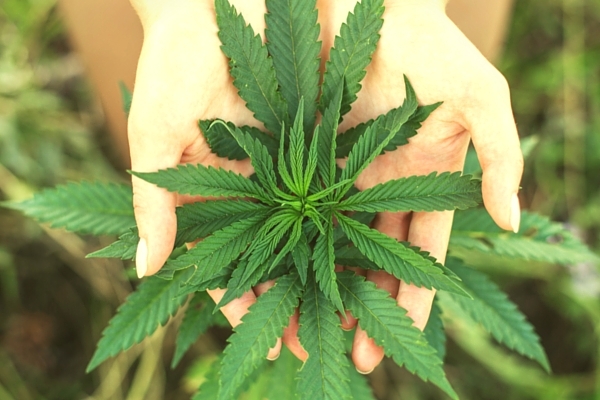 Cannabis is made up of different cannabinoids, which are the active ingredients found in marijuana. Each cannabinoid has a unique profile with specific medicinal/therapeutic properties, and functions. THC (Tetrahydrocannabinol), CBD (cannabidiol), and lesser known: CBN, CBG, CBC, THCV. These cannabinoids work like a lock and key, fitting into different CB1 receptors (found mostly in the brain) and CB2 receptors (found in the immune and peripheral nervous system) to maintain homeostasis in the body. Cannabinoids are not just in Cannabis, though! There are Endogenous Cannabinoids (endocannabinoids), which are cannabinoids that our bodies naturally produce, and Exogenous Cannabinoids which are cannabinoids from "outside of the body." Examples of endocannabinoids are Anandamide or ADA, and 2-Arachidonoylglycerol or 2-AG. These two cannabinoids are naturally produced within our bodies and bind together with exogenous cannabinoids such as thc, cbd, etc. Every human being and mammal have an endocannabinoid system. This system is a group of receptors and neuromodulatory lipids that bind and process cannabinoids in our bodies. There are two receptors found throughout the brain, central and peripheral nervous systems: CB1 which is found mostly in the brain, and CB2, found in the central and peripheral nervous system. Endocannabinoids attach to CB1 receptors, located on neurons, to modify the way the neurons communicate with each other. THC is an example of one that binds with CB1 receptors. There are some cannabinoids that cant fit into the receptors though: CBD can't fit directly but has powerful indirect effects by activating enzymes that stimulate the receptors. CBN (Cannabinol) is a weak psychoactive cannabinoid found in cannabis. 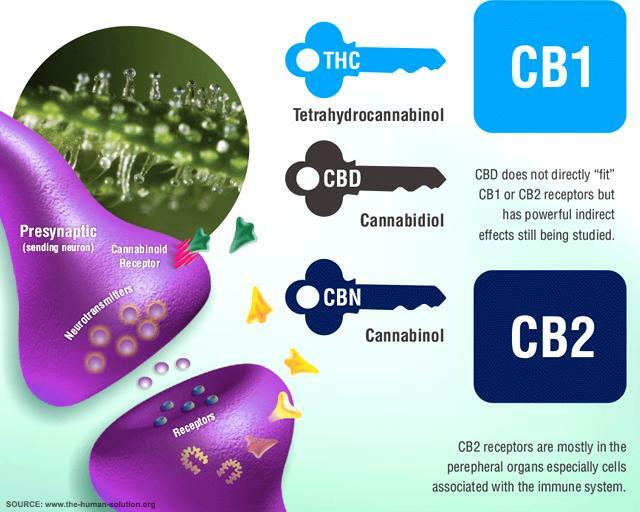 CBN fits into CB2 receptors like a lock and key, just as THC/CB1.